Have We Learned Something New About Marvel's X-Classified? 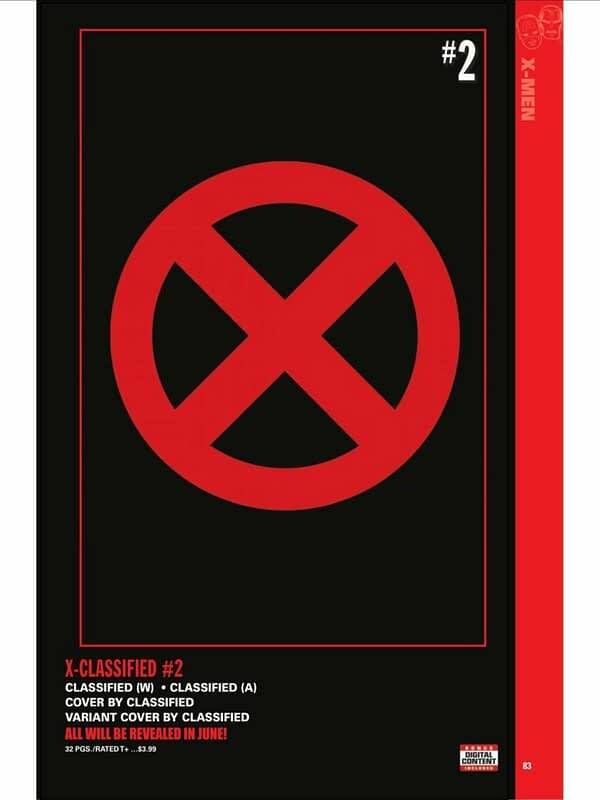 Home » Comics » Have We Learned Something New About Marvel’s X-Classified? Have We Learned Something New About Marvel’s X-Classified? CBR has revived their X-Men interview column, X-Position, with ukulele-wearing, fedora-playing editor Jordan White (what good X-column could stay dead forever? ), and White may have dropped a new clue about the upcoming X-Classified book, which we’re supposed to learn more about this month. So far, we know only two about the comic: that it will *not* feature variant covers by J. Scott Campbell, but it will have one by Humberto Ramos. Now, do we know one more? White: There are no plans for a single large Grey family reunion, but a couple of them meet up in the X-Men Red Annual, a few cross paths in “Extermination” and a few meet up in another mysterious book we have yet to talk about. No plans for an X-Men Grey book made of the whole family, sadly. Could this mysterious book be X-Classified? And if so, what can we deduce from that? If we already have a Jean-centric comic in X-Men Red, we’re unlikely to get a second one. But this book will feature Grey family members? Certainly, that could happen in an Uncanny X-Men reboot. Or a new Cable series, perhaps, or something related? Or might that be the kind of story more suited to a format more like X-Men Unlimited? White: All three are in Mystery in Madripoor… and an upcoming as-yet-unannounced book! Psylocke, Jubilee, and Storm as well? If this too is X-Classified, then what does that tell us? Of course, White might not have been talking about X-Classified either time, and we could be completely off base (when has that ever happened tho? ), so file this under pure speculation, and then feel free to add your own down below.